Do you remember a TV show from about 15 years ago that had two guys that did movie reviews? The two reviewers would watch a movie and then give their “thumbs up” telling you that you needed to see this movie or “thumbs down” meaning you’d probably want to pass on it. How awesome would that be if you had the same thing when you were considering new craft tools! Let’s face it, some of these craft tools are expensive. And just how many do you really need to buy? Starting this Wednesday, I’m going to show you a tool and how to work it. I’ll be totally honest about what I thought of the tool, how easy or complicated it was to use, and if you really need it or if you can actually live without it unless you have OCD (Obsessive Crafting Disorder) and must own all the tools. Just a side note here: I’m going to try to make this a regular feature every week – key word TRY. There are going to be Wednesdays when I will need to feature something else for whatever reason (yep, this is my out just in case I run out of tools to review). Up this week for review: the Precision Base Plate! The Precision Base Plate was announced this past Fall in the Holiday Mini Catalog and was carried forward to the Occasions Catalog. The price for the plate is $25 (a little less if you’re a Stampin Up Demonstrator). The description in the Catalog says “this steel plate delivers improved performance with more detailed dies, giving you extra fine cuts”. Wow! Sounds fabulous! If you’re like me, you bought it right away because you heard you just had to have it. And again, if you’re like me, it’s still sitting on your desk wrapped in plastic.It really did sound great when Stampin Up talked about it. So, why hadn’t I used it? Or another question, why haven’t you purchased it? Reason 1: every tool has a learning curve. Reason 2: I already have something else I’m currently using that does the job. Reason 3: lazy! Yep, I can be a lazy crafter. Why use 15 things if 5 will get the job done? Reason 4: (for those who haven’t purchased it) the cost! $25 isn’t huge, but it does mean you can’t buy something else that you know you want. Reason 5: (for those who haven’t purchased it) I don’t understand what it does so why would I want it? This past weekend, I was working with the new Botanical Builders Framelits. 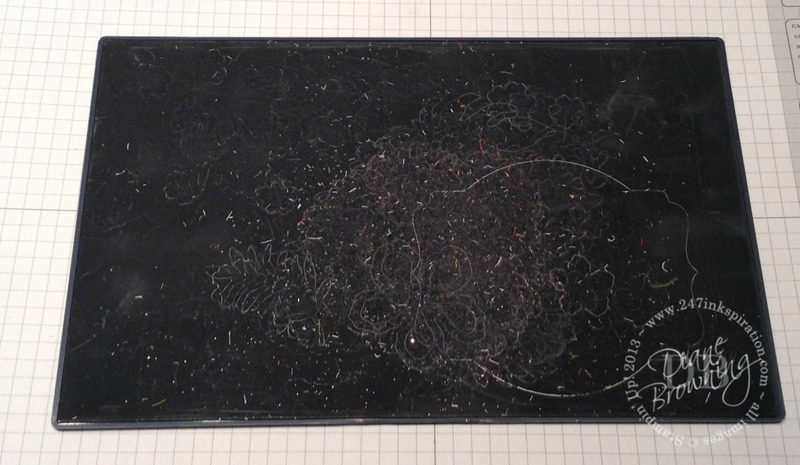 I had my Magnetic Plate out because I wanted to cut multiple dies in different colors all at once and the Magnetic Plate is great because it holds the dies in place which allowed me to get everything set before I ran it through my Big Shot. I LOVE my Magnetic Plate. I use it all the time. It was great for cutting the flowers and the big leaves. Then I get to the tiny detailed ferns. Ugh. I shredded 6 or 8 of them trying to pop them out of the die after running it through my Big Shot. The die cut fabulously, but for the life of me, I could not get those darn suckers out of that stinkin die!! Thank goodness my friend Poli was over. She saved my behind ferns. She offered to help me pop them out of the dies. Even she had trouble and then when I said “do you think I should be using that Precision Plate thing instead”, she said YES this is exactly what it’s for. You’ll notice in the photo above, that it says “this is not a cutting surface.” The bottom side that has the foam padding is the cutting surface (see below). And after you use your die, you’ll have all these indentations in the cutting surface. This is totally normal. So I tried the Precision Base Plate and the dies cut so well, like buttah. No need to run them back and forth a couple times. The end result: the card stock did not pop out of the die on its own, however they came out fairly easily with the Die Brush. 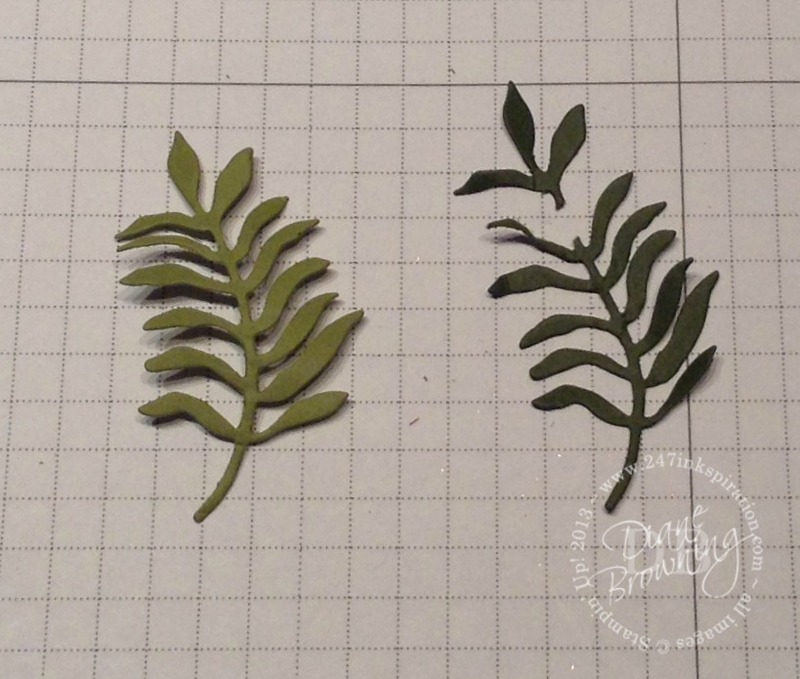 The fern on the left was cut using the Precision Base Plate. The mangled and torn fern on the right is the best out of the ones from the Magnetic Plate. You can’t see it here but on the card stock has separated into layers on the back side of the fern on the right. This happened when I pulled it out of the die. I have two tools that could possibly do this job – the Magnetic Plate and the Multipurpose Platform. Both would do an adequate job cutting out, but I would need far more patience than I have to actually extricate my paper from the die once it’s cut. Laziness! This tool didn’t require extra steps or processes. It was the exact same steps as the Magnetic Plate and Multipurpose Platform. Cost. It is $25. As a Demonstrator, I was able to purchase it for less so it made the decision easier for me. 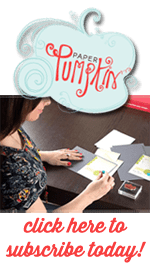 I succumbed to peer pressure on this one and when Stampin Up was promoting it and said I really needed it, I said ok. Did I really know what I was buying before I bought it? Not really. Do I see the benefits now? Definitely! So here goes… thumbs up or thumbs down? I would actually put this is the thumbs up/maybe category. If you die cut a lot and you like the intricate designs, I would say that you really do need this to make your life easier. If you don’t die cut very often and only have one or two dies that are intricate, maybe you want to pass on this since there are two other tools that do the same job. For those that have the Precision Base Plate, tell me what you think of it. Do you give it a thumbs up or a thumbs down? Great article! Love the way you write! I LOVE my precision base plate. Could not have done the intricate heart die cut without it! Thanks Lynda! Now that I’ve had a chance to use my Precision Base Plate a few times, I’m loving it too! And you’re right, it would be impossible to cut that Bloomin Heart Thinlet without it.